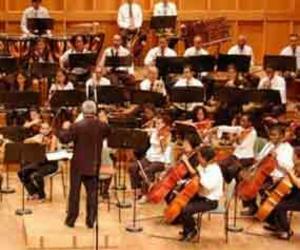 The National Symphony Orchestra of Cuba has got great recognition from spectators and critics during its performances as part of its first tour of several US cities. "The reaction of the public has been fantastic, as they applauded the musicians both during the rest and at the end of the concert," told journalists the spokesman for the promoter of the concert in Kansas City, Tim Ackerman. Kansas City was the first stop of the Cuban artists on Oct.16, and the public offered them a warm welcome also in New York, where Mayor Michael Bloomberg declared Oct.26 as Cuba's Symphony Orchestra Day after personally enjoying its performance, according to press reports. The program also included performances in Union City, New Jersey, which boasts one of the countryâ?Ös largest Cuban communities. The program contained pieces by Latin American composers, classics and some from the orchestra's regular repertoire. The tour is scheduled to end in Florida, with five concerts on Nov.10.